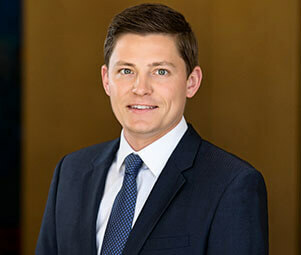 Serving as an Associate Vice President of Shopping Center Business in the Midwest, Zack Bates specializes in the disposition and acquisition of institutional and private investments for Matthews Real Estate Investment Services™. Throughout his successful career operating on the principal side, Zack has forged relationships with the nation’s largest institutions, developers, REITS, and high-net worth individuals. He brings years of valued relationships and untapped knowledge of the market, and leverages his deep understanding of the industry and strong background in acquisitions to maximize value for his clients. With his positive attitude and unrelenting work ethic, Zack is committed to helping each client achieve their individual goals. Prior to joining Matthews™, Zack worked at DDR Corp, a highly respected Real Estate Investment Trust that specializes in shopping centers. Zack served as the Senior Transactions Associate on a team that closed over $2 billion in transactions. In his position, Zack played an instrumental role in overseeing both acquisition and disposition efforts while navigating the ins and outs of the business.